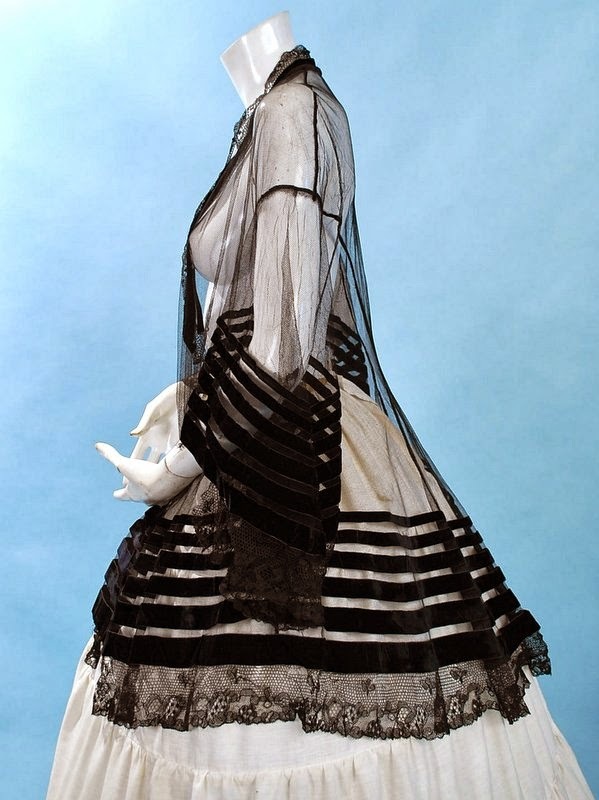 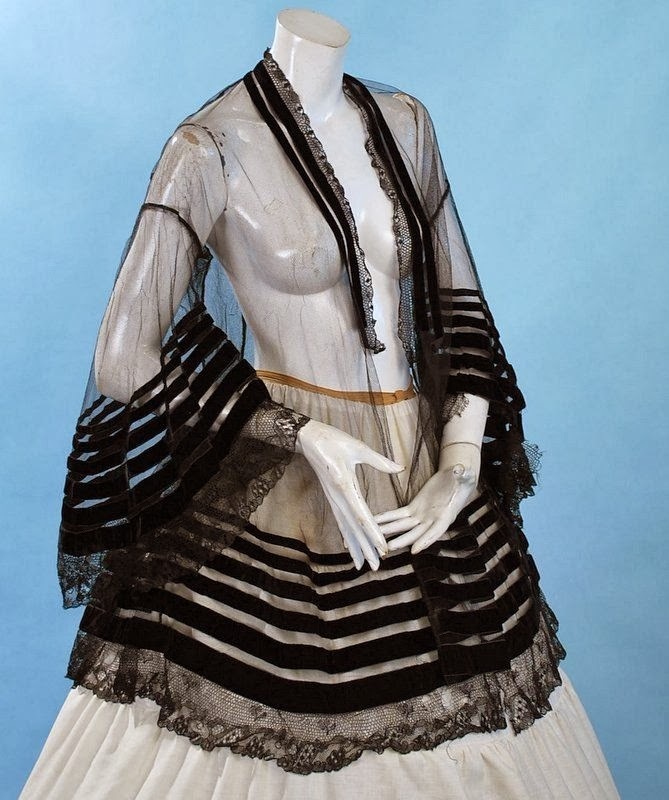 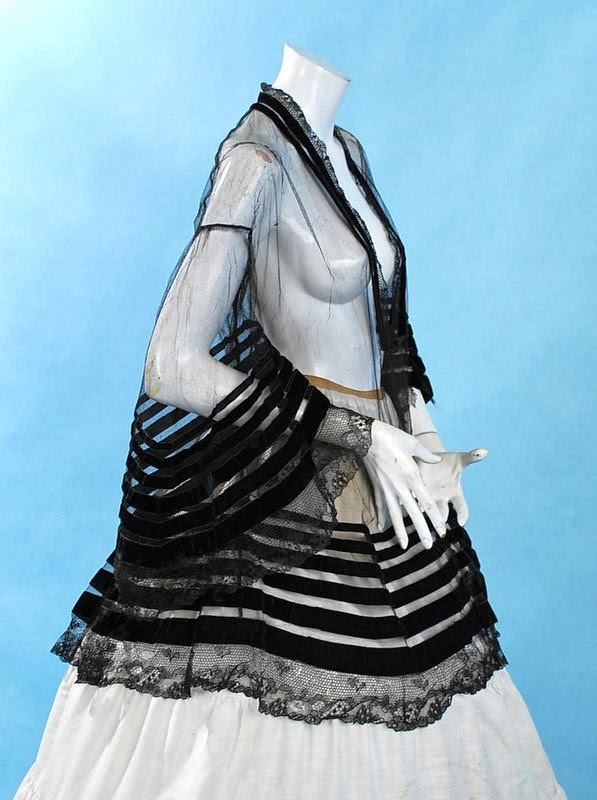 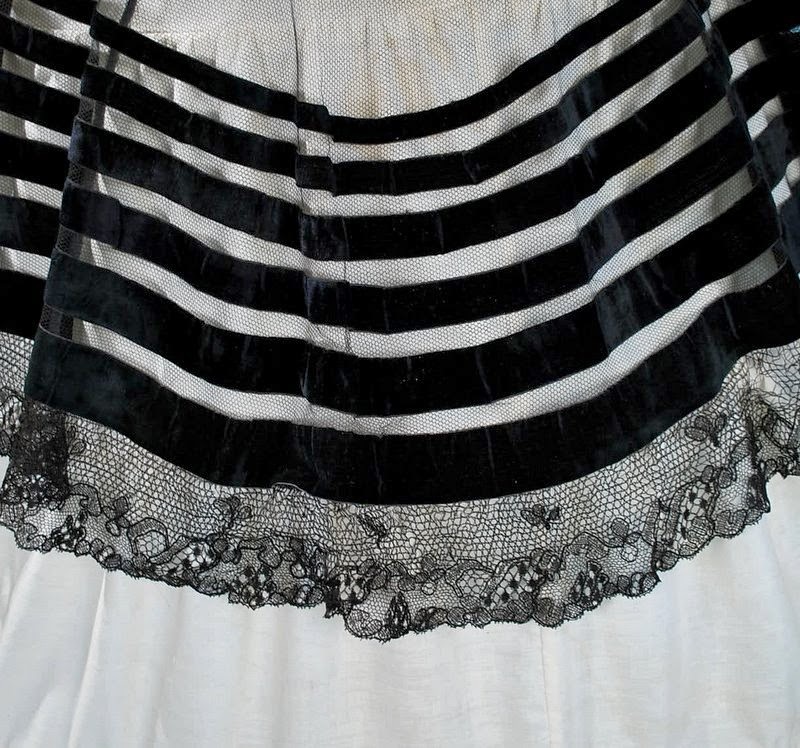 Dramatic and a bit rare ladies net/lace Canezou over bodice dating to the 1860's. 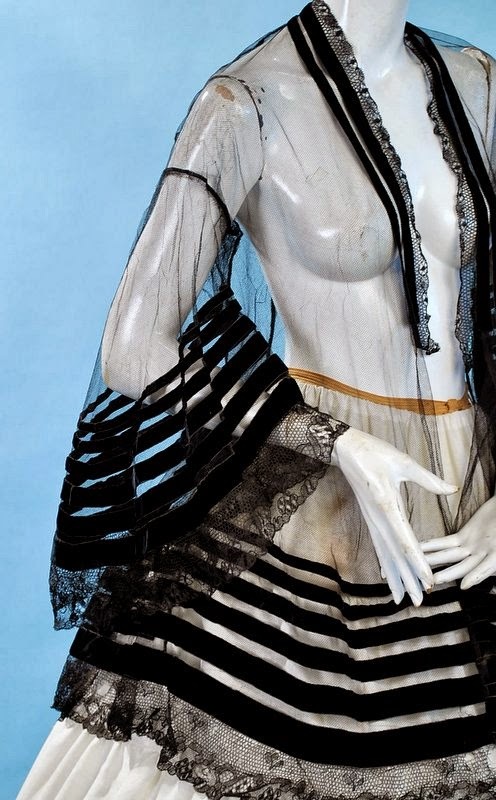 Front opening with no closures, shaped fit, with dropped shoulders and enormous pagoda sleeves, trimmed out in varying graded widths of silk velvet trim on sleeves and repeated at the hem, hand made lace edging. 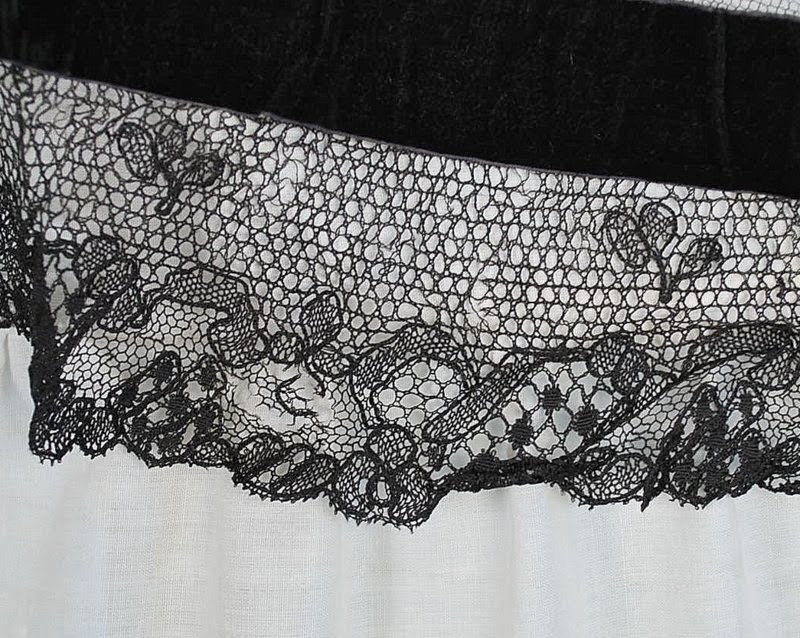 In very good condition with some weakness, damage and loss to the trimming lace and an area of lace at front closure that needs reattaching. 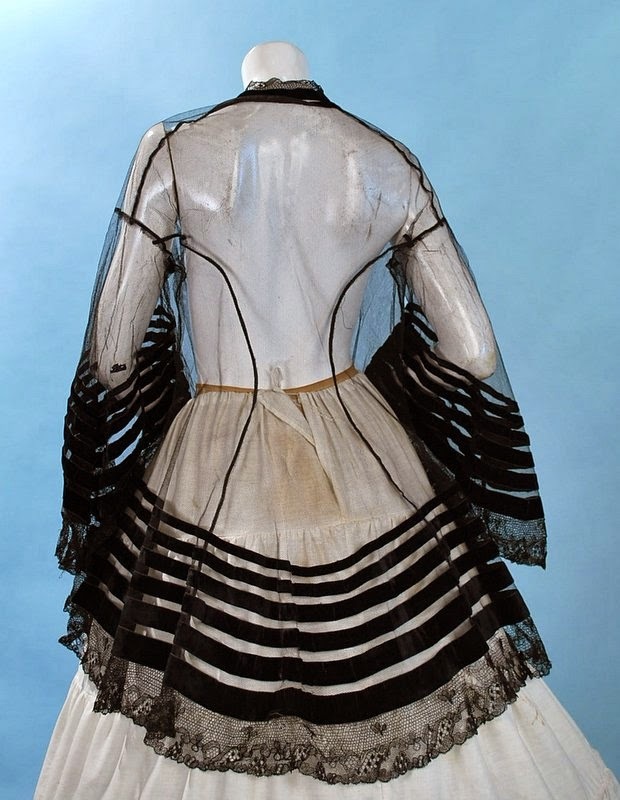 Although these were worn in the 1860's as well, the styling is more 1850's to me.